Anyone with assets they want to protect need to strongly consider working with a Los Angeles estate planning lawyer. No matter your net worth, you need to be proactive in having a strategy when it comes to what you will pass on after your death or in the event you become incapacitated. Don’t leave your property—real or otherwise—up for grabs: having a plan in place can save your beneficiaries considerable time and money. Oaktree Law is A+ rated with the Better Business Bureau because we constantly focus on our clients’ needs. Thanks to our hard-working and highly-experienced team, we have earned numerous awards and helped our clients manage a wide range of legal and financial issues. You can trust us to advocate for your rights at every turn. In the unfortunate event that tragedy strikes, your family may be too distraught to make decisions wisely regarding your care and the transfer of your assets, which makes having an estate plan in place necessary. Even if you have a plan, laws regarding inheritance change over time so you need to be consulting with an Orange County or Los Angeles estate planning attorney regularly to ensure your business is in order. The purpose of estate planning is to protect your wishes and those of your loved ones should you pass away or become unable to manage your assets. A proper understanding of estate law can mean the seamless distribution of property to your intended beneficiaries and shielding them from certain estate taxes and probate court. Wills: A document directing who will receive your property after death, a will names representatives or executors to oversee this process, guardians to care for dependents, and conservators to manage property for them. Wills can name trustees of property and even caretakers for pets. However, a will does not transfer non-probate property such as real estate owned with rights of survivorship. Living Trusts: Also called a revocable living trust, a living trust is created while you are alive and can be revised at any time. You can amend the trust if you wish to appoint a different beneficiary or trustee. If you decide you don’t like the agreement, you can revoke it or change the terms and reinstate the trust. A revocable living trust is similar to a will, albeit more flexible. 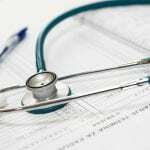 Advance Health Care Directives: A type of estate plan, an advance health care directive reveals your preferences to the type of care to receive if you become incapacitated. The directive can specify who makes vital health care decisions for you, whether you designate a spouse, other family member, or friend. It can indicate procedures this agent cannot authorize. Also, the agreement is indefinite unless you specify a termination date or revoke the directive. 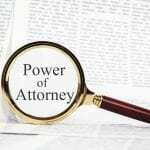 Durable Power of Attorney: A document that appoints an agent to make financial decisions on your behalf should you become incapacitated. The powers this agent has are clearly stated in the document. It can authorize them to deposit funds to a bank account, write checks, or make financial decisions for a business. Powers of attorney expire upon your death, so you should appoint a trusted agent/representative who can consult with your Orange County or Los Angeles estate litigation attorneys. Estate plans can be highly versatile depending on your needs. For instance, if you have a beneficiary with special needs, is immature, has substance abuse issues, or is not old enough to receive a sizeable distribute of assets, you can utilize a variety of trusts to manage the assets including a Discretionary Trust, Special Needs Trust, Trust for Minors, or an IRA Designated Beneficiary Trust. A formal legal process, probate recognizes an individual’s will. It also appoints someone (an executor or representative) to administer the estate and distribute assets to intended beneficiaries. 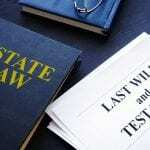 A probate proceeding may or may not be needed to execute the will. That is where our Los Angeles estate planning attorneys can help you proceed with the process according to law and the decedent’s wishes. Probate can be avoided if assets are transferred to a living trust before death. Jointly owned assets may not require a probate either. In both cases, an administrator must oversee the will and the management/distribution of assets. The probate process is court supervised. That ensures retirement plan proceeds, life insurance, and other property that passes to a named beneficiary reach that individual, and joint real estate, bank, and brokerage accounts are properly dealt with. While many assume it’s a significant legal challenge, probate and estate litigation rarely is. Whether or not property can avoid probate is ultimately determined by the law. A living trust lawyer will help you with transferring assets to the trust. For example, the living trust must be administered by a trustee, who transfers assets to beneficiaries. Various taxes and fees may apply depending on the jurisdiction the proceedings take place in. Your attorney will help determine which costs apply to your case. Whether an attorney specializes in probate law or estate planning involves the scope of the work they provide. Probate lawyers are often called estate or trust lawyers—they are skilled in the probate process to assist executors of an estate if there’s a will, or administrators when no will has been drafted. The legal process can follow two basic paths, determined by the presence or lack of a will. A trust attorney can also advise you on paying debts still owed by the decedent, or on managing their bills. They can help you manage the estate’s checkbook as well. When a will has not been drafted: Dying intestate means you have not written and signed a will. Each state has intestacy laws, which govern how an estate is to be distributed in this situation. In some states, the law requires intestate property to be handed over to the surviving spouse. Our Los Angeles probate attorney can work with the administrator of the estate to ensure assets are distributed in accordance with the laws of the state where the property is located. Even without wills and trusts, they can assist with the basic tasks of managing a decedent’s estate and financial assets. The decedent may have had certain wishes, but a state’s intestacy laws take precedent, regardless of family members’ needs or the person’s wishes, without a will. Our Los Angeles estate planning attorney will help with your various legal needs. If one relative wishes to be the estate’s administrator, your estate planning lawyer can help secure a renunciation, or legal statement that relinquishes a relatives right to be an administrator of an estate. The statement is filed with a probate court. An attorney can help file the required statement and work with the executor or administrator throughout the probate process. It is a good idea to have an estate plan. 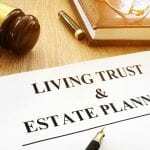 A living trust can be a part of this and is a valuable part of estate planning. One can make managing assets easier should the estate owner become ill, disabled, or less able to manage the estate due to age. A detailed plan can avoid estate litigation or at the very least provide a blueprint for managing or distributing assets to intended beneficiaries. Estate planning can ensure the decedent’s wishes are carried out. It also helps minimize issues that complicate the probate process. When the fine details are laid out in the will, it’s less likely that heirs will file lawsuits or potential beneficiaries are overlooked in the probate process. 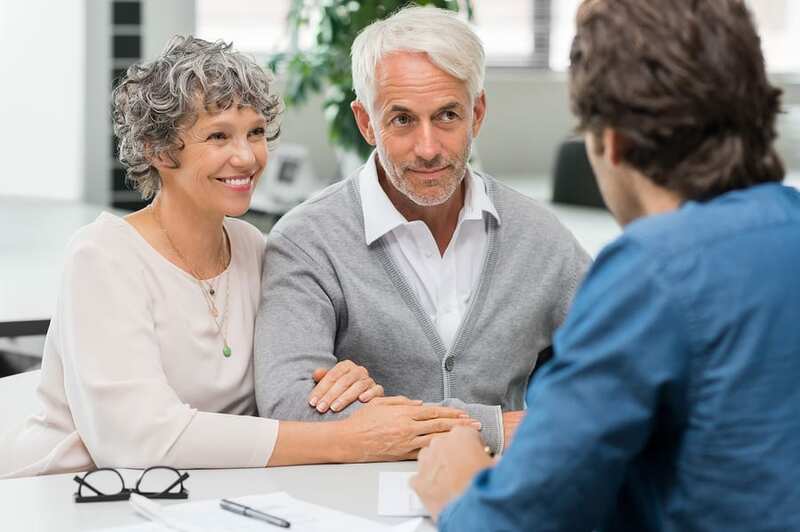 Even if you have a spouse with a right of survivorship, an estate plan can be created; Our Los Angeles estate planning lawyers can assist you in determining the best options. Consult with a trusted Los Angeles estate planning lawyer from Oaktree Law to explore what options are available for your specific needs. We work hard to create plans unique to you that enshrine you wishes. Give us a call at 800-535-1627 today!